Hal has everything money can buy, except that is for the one thing he longs for, a dog of his own. When Hal’s parents rent a dog for his birthday he thinks his dreams have come true, until he finds out his new pet has been returned after the weekend. Hal decides to take action of his own and so begins an adventure; involving an odd collection of dogs, a like-minded friend called Pippa and a quest across country to find sanctuary. 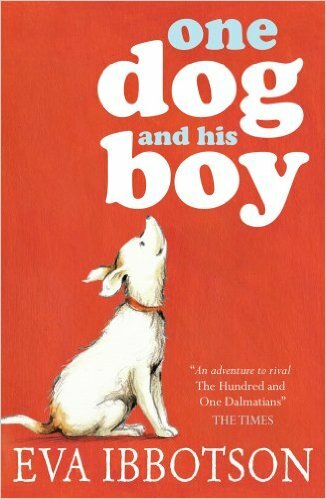 Eventually all the runaway dogs find perfect homes and Hal is able to keep Fleck, the dog of his dreams. This is a warm and appealing adventure story. It questions the notion that money can buy everything suggesting friendship, kindness, loyalty and respect are worth more than material things. How Hal feels at different points in the story. What his parents think about the idea of having a dog. Reasons for and against Hal running away – what advice would you give him? Whether Pippa did the right thing in releasing the dogs? What you might tell someone else about the story. Write a note from Hal to his parents explaining why he has run away. Try out your ideas with an imaginary phone call first of all – you could role play the phone call together. Make a missing child (or missing dogs!) poster as if it is from the MMM detective agency offering a reward. Make a photo album of the dogs in their new homes with drawings and captions. You could use a scrap book or make a mini folded book. Look at a map of England to try to plot the runaway’s journey from London to Northumberland.